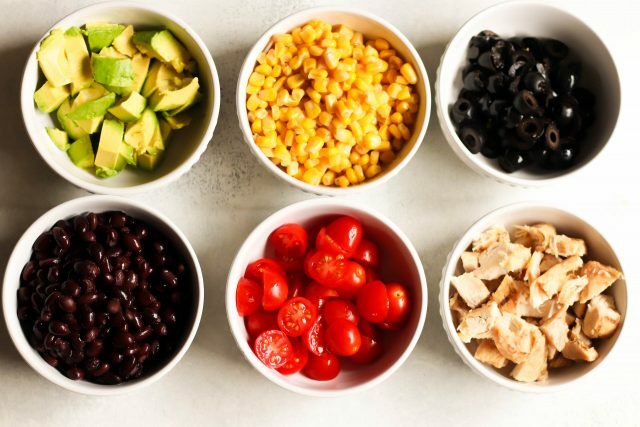 This Easy Southwest Salad is simple, delicious, and full of flavor. 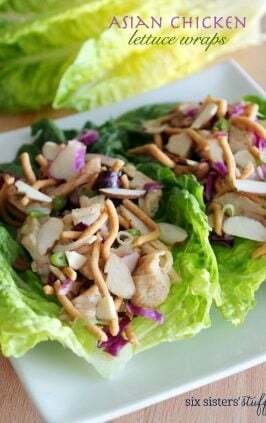 If you are looking for a healthy and tasty dinner, lunch, side dish, or appetizer, you have to try this salad. 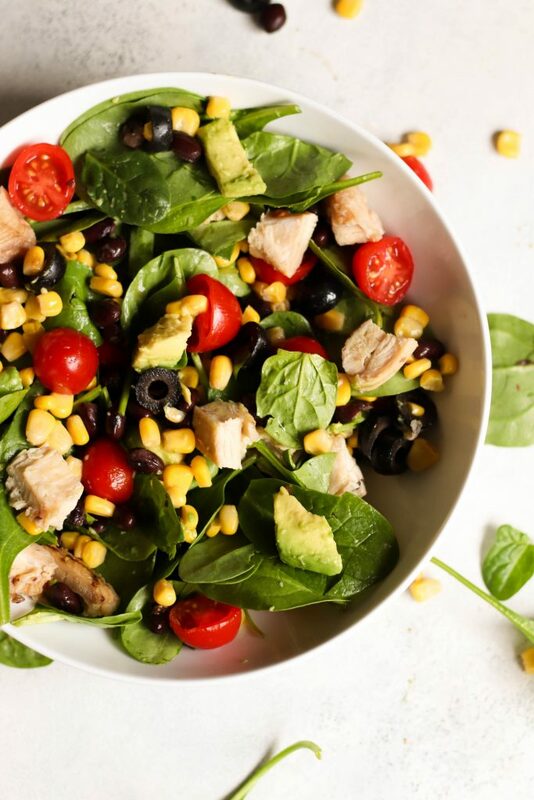 It tastes so fresh, and makes eating healthy easy. 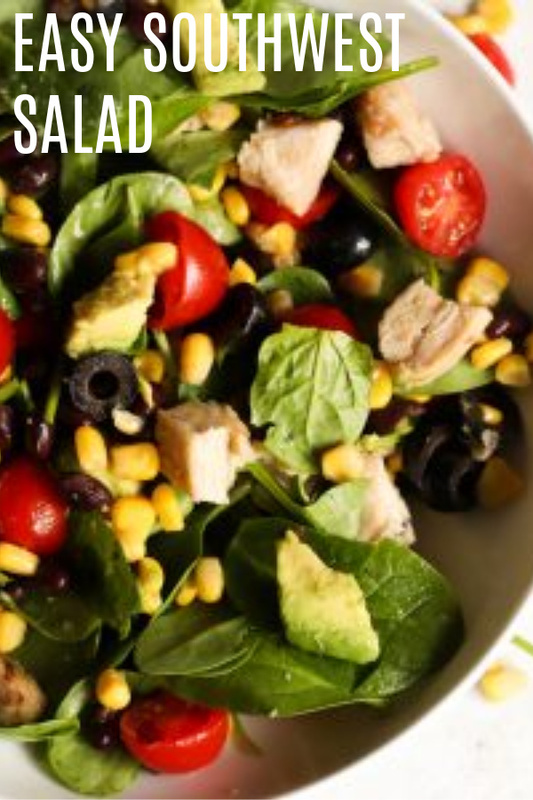 So, I’m still trying to eat healthier and this is my go-to salad recipe. I’ve been making it for years. You could also change it around to your liking. 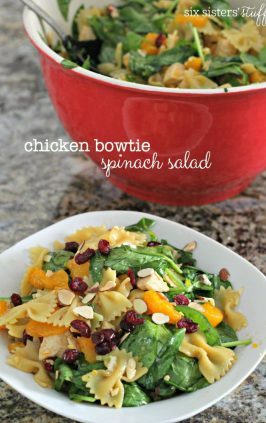 It’s just a few simple ingredients tossed together, and it makes the perfect lunch or dinner when you’re in a rush. It’s a great catch-all, too, so if you have a lot of veggies you need to eat before they go bad, chop them up and throw them in. 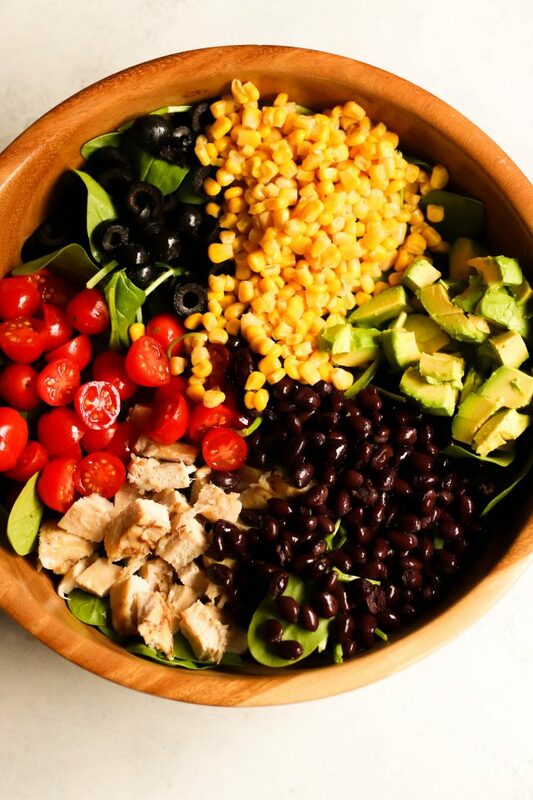 what other toppings would be good on this salad? I am all about my salad toppings. The more toppings you have, the less you can taste all that spinach, so go crazy with the toppings. 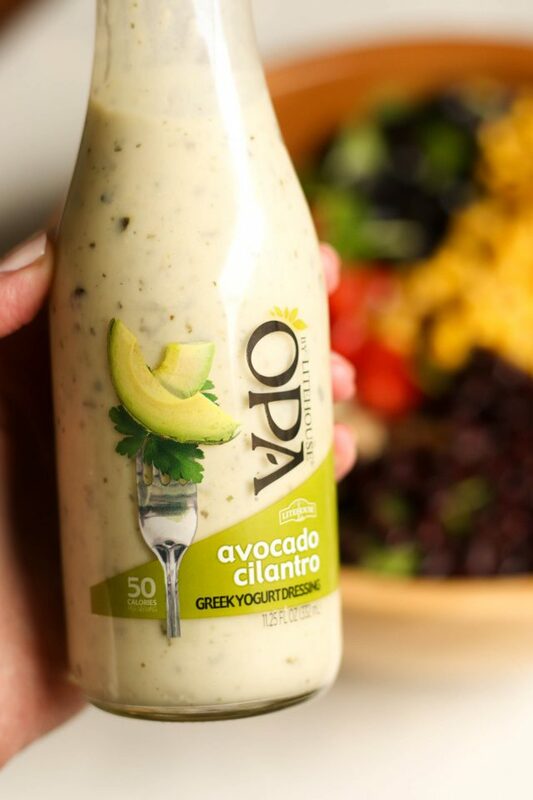 You can top it with any kind of salad dressing you like, but our current favorite is this Avocado Cilantro Greek Yogurt Dressing. It only has 50 calories per serving and tastes AMAZING. looking to make your own dressing? I am all about a healthy alternative, however, every once in a while, you just need the good stuff. Here in Utah, we have a restaurant called Cafe Rio. 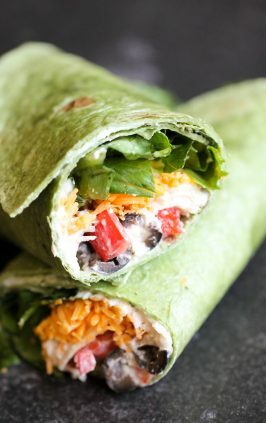 It has the most amazing and delicious Cilantro Lime Ranch recipe. We did some research, as well as a lot of taste testing, and we have finally created a replica. You have to try our Homemade Cilantro Lime Ranch recipe. It goes on just about everything. 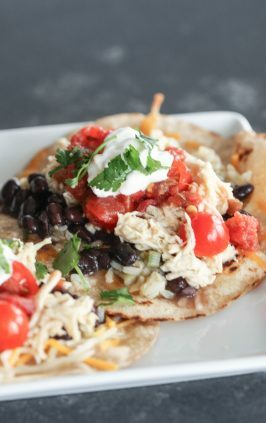 We also love eating it with burritos, quesadillas, grilled chicken, enchiladas, fajitas, sandwiches, etc. 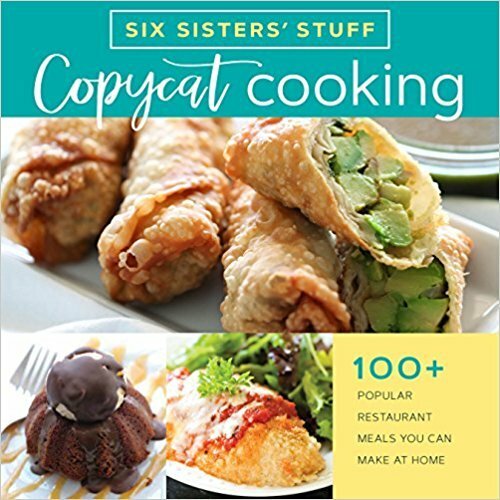 Click, here, for the recipe. 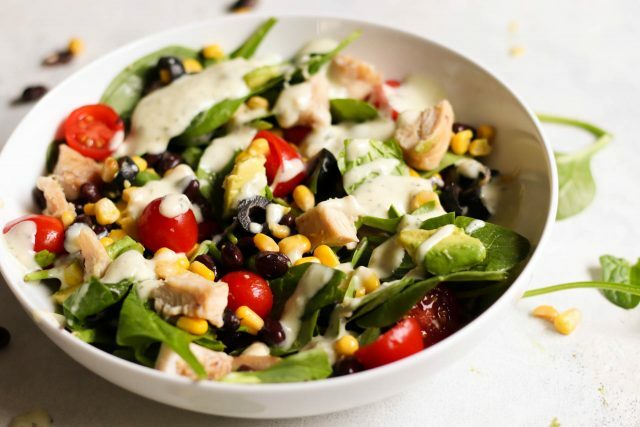 Mix everything together and serve with your favorite salad dressing. 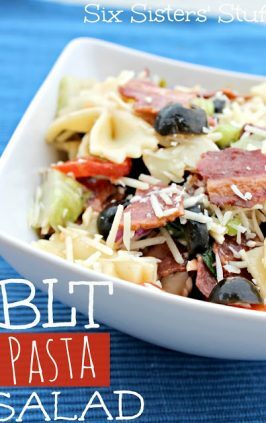 We love to eat this salad with Paula Dean's Fat Free Garlic Vinaigrette Olive Oil Dressing. Where do you find the Paula Dean's Fat Free Garlic Vinaigrette Olive Oil Dressing? I've looked at Wal-Mart and Smiths. Thank you!